Had too many beers to remember to take a pic when I sliced everything up, so the cooked pic is from the next day after being refrigerated. 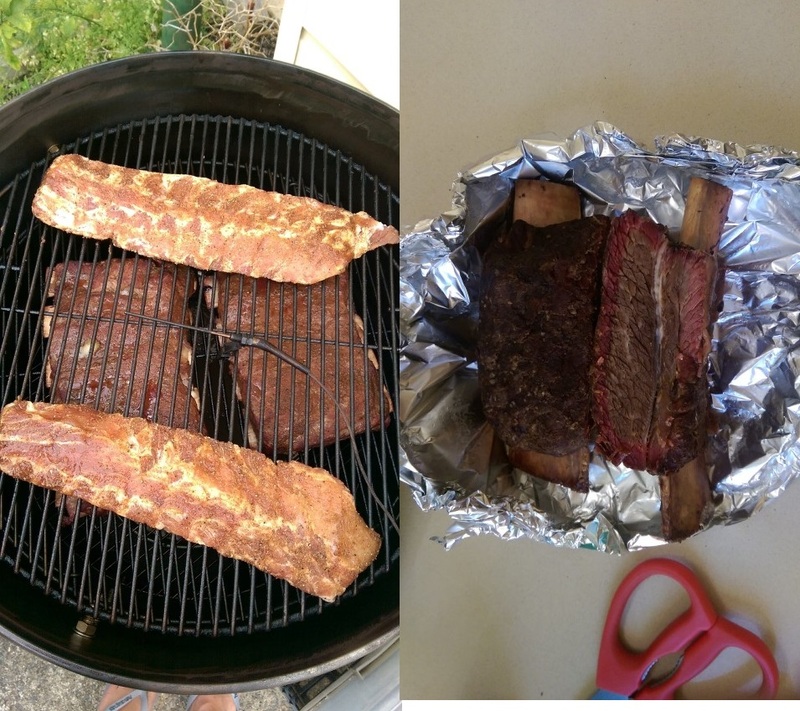 UDS with heat beads using the 3-2-1 method. I put the pork ribs in about 1-1.5hr after the beef as they tend to dry out.